One of the best things with MVC is the built-in validation using Data Annotations, these special attributes are simply applied to a class or its property and validation simply just happens on both Client and Server side (taking into consideration you set yours up properly). There are lots of Data Annotations built in that you can use and the most popular ones are the Required, Range and Data Type Attributes but sometimes these are not enough so we need something more usable that fits well with our business logic. Good thing we can create our own custom validation by overriding methods in the Validation Attribute class as well as with IClientValidatable. So how do we do that? 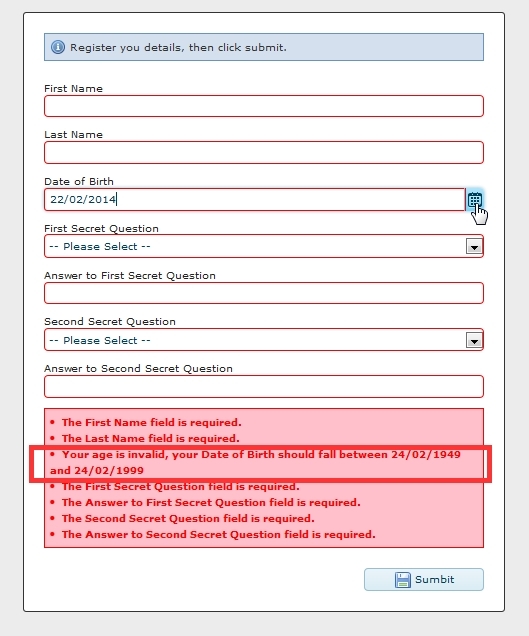 Lets start with an example, lets say you want to validate a users age by default you cannot use the built-in validators so you will have to create your own validation. Lets say you have a registration form like this screenshot below and you want to restrict sign ups for people only aged between 15 to 65 years old. 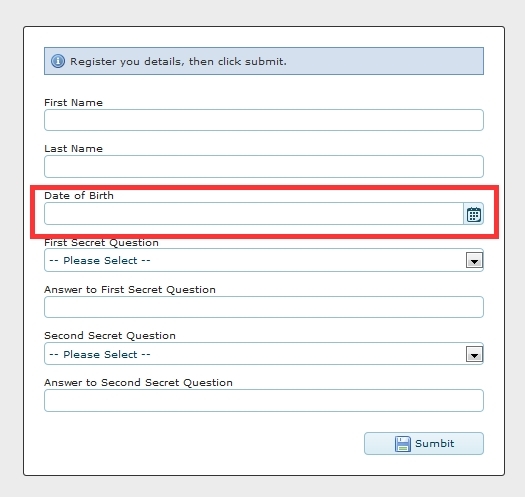 Lets say your Birth day field is called Birthdate, we want it to be required and we want it to display as “Date of Birth”. Now if you notice you have 2 parameters in Validate Age 15 and 65, this is the property you set on minimumAgeProperty and maximumAgeProperty of your ValidateAgeAttribute class. 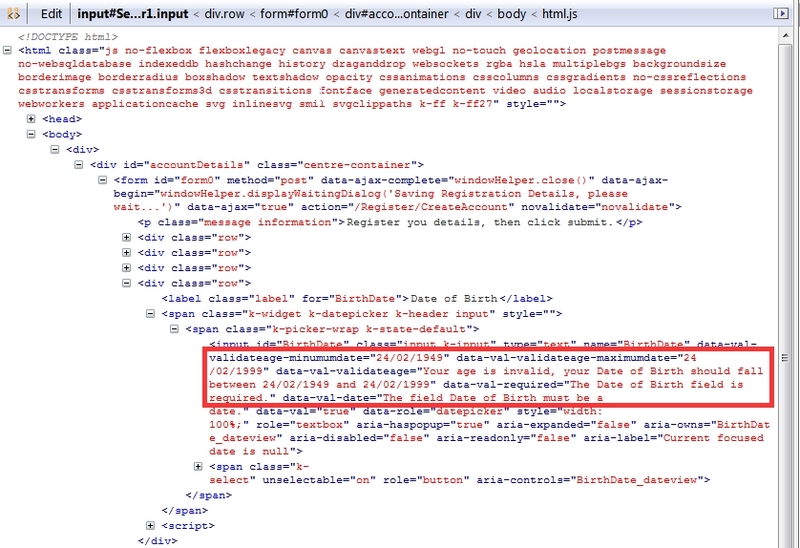 You will also notice we use ValidateAge and not ValidateAgeAttribute, you can use both as it auto maps with the class. First function just adds the method and the second adds the unobtrusive adapter. Take note of the names as this is the one you declared early on your ModelClientValidationRule on the ValidateAgeAttribute. Nice work. I’m surprised more people are not talking about pragmatic approaches like this. Amazing article! Do you happen to know how to do one for date ranges? Ex: StartDate < EndDate. You can refer this (http://amitergupta.blogspot.in/2015/10/mvc-date-range-validation-with-data.html) article which demonstrate server and client side validation with support of min nd max value as constants or dependent properties.